Thanks Miss M♡ Let me know how it went! Great Recipe! Yoshinoya's Beef bowl has always been my favorite dish.. Now I can try to cook it myself! Thanks for the recipe! what can i replace sake if i dont have it? FYI you can also use dry sherry for Sake and sweet cooking sherry for Mirin. I found this out when I moved, and the prices for Japanese ingred. above my "budget". Great recipe can't wait to try ! thanks for posting. Hi little Japan mama! I lived in Japan for over 10 years and now it has been 3 years since I left and I sure miss all the delicious dishes available in Japan, what kind of beef would you suggest I use for this? 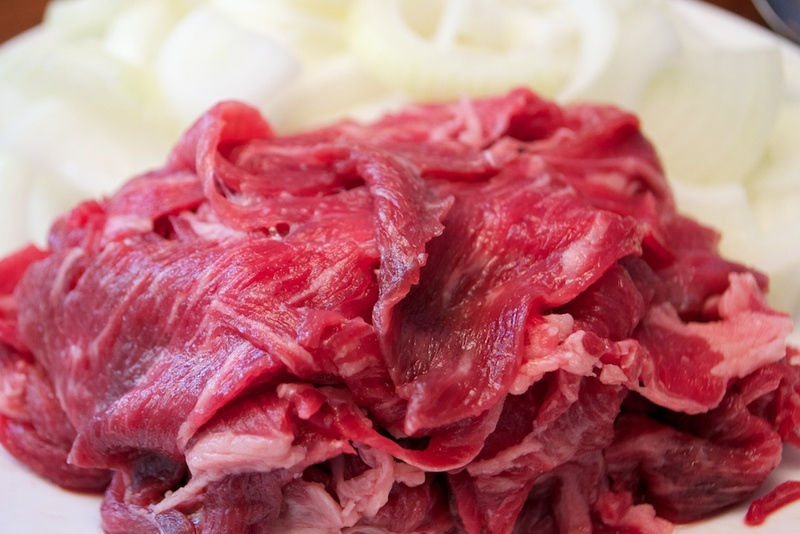 Hi Dani, Thanks for your comment☆ As long as the beef is very thinly sliced, it will be fine, and the cooking time will soften it a little. You might find it in the freezer of your Asian grocery store or at an Asian butcher. It might be called "shabu-shabu beef". If you're in Australia, Woolworths has beef "sizzle steaks" which are quite thinly sliced and well-priced too. Thanks! 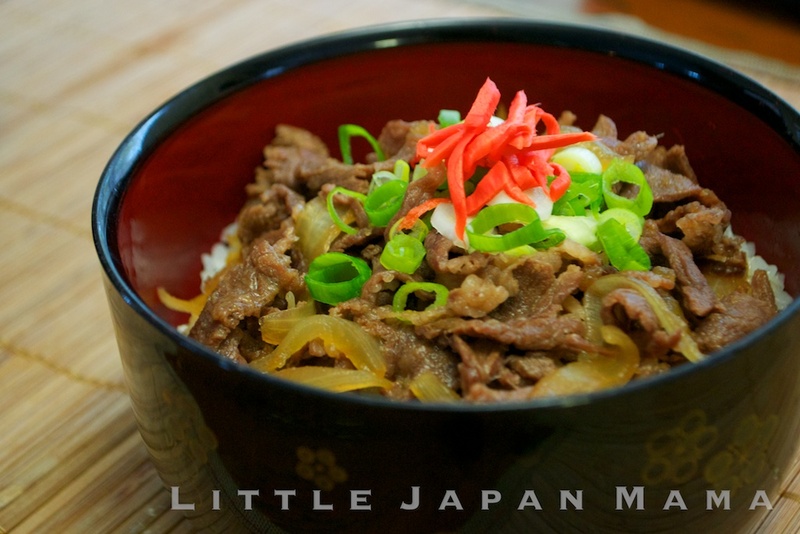 I'm a big fan of the fast food (Yoshinoya) Gyudon that I ate many years ago in SoCal. No such thing - that I can find, in the Pacific Northwest and so I'm trying to make my own. The rice, beef, onions, ginger and careful simmering are no-brainers and I've got them covered. The Dashi confuses me. I know little of what it is or how to use it and the varities in big Asian stores are endless - and I cannot read the instructions.Your recipe calls for 2 tsp "Dashi Powder" in a pint of water, but what kind of Dashi? If possible, can you recommend a specific brand, at least as a place to start? I suspect that the flavors imparted by the Dashi are essential to the dish, but the choices are overwhelming. I'd like to get the box-stock recipe right before I venture into any modifications or omissions. 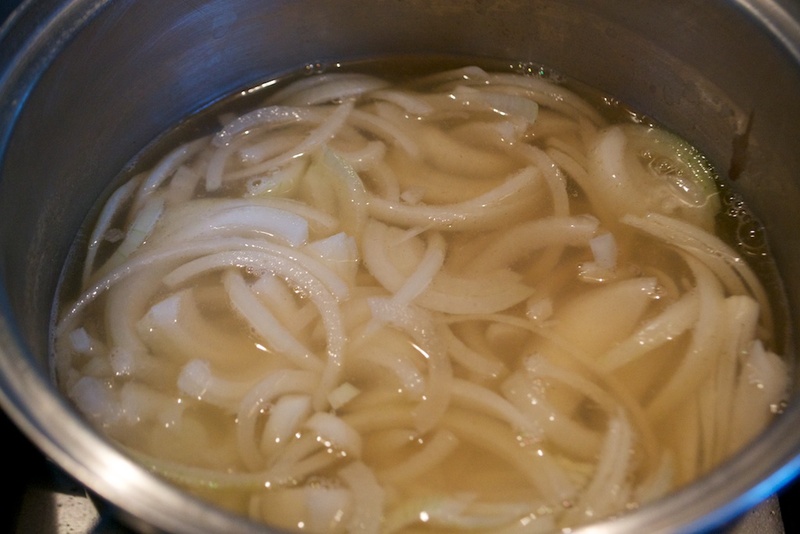 I note that some Gyudon recipes don't even use Dashi and perhaps the obtain the essential flavors from other ingredients. If yo have any thoughts, please share them with me. I'm lost... Thank you. -C.
Oh my favourite dish when i was in japan. I wish i can make some bowl of gyudon. Hi Jane, what does one do with the soup? I drank it and it tasted *amazing* like the rest of the recipe, but is there another use for it? Hi....so simple and so good even if I did not have dashi powder. I used sushi paper instead which melted in the boiling water. I am glad I stumble upon your website. 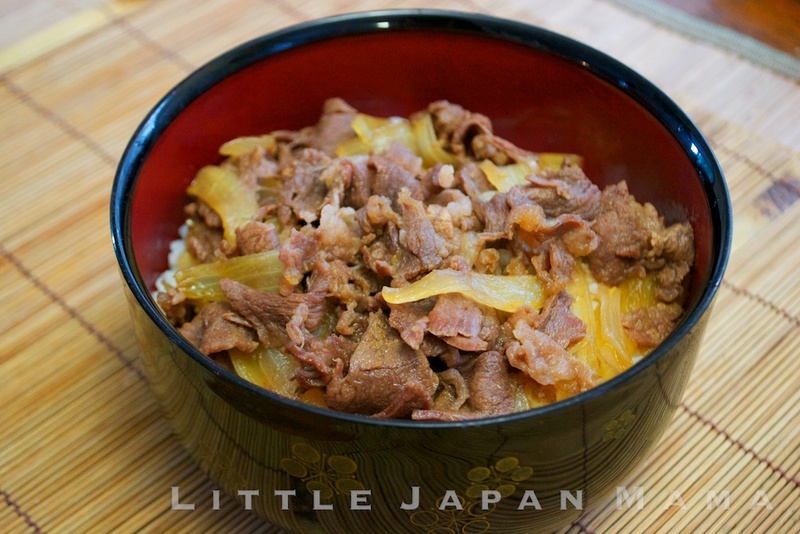 just returned from Japan (Tokyo) last night, one of the first things I wanted when I went there was gyudon..I lived there many years ago for a few years and was always busy so Yoshinoya was always my quick & inexpensive dinner place..like so many salary men do..
Was looking around for recipes and found your site..thanks so much for the great work you are doing..
can i replace beef with pork ,instead of beef? 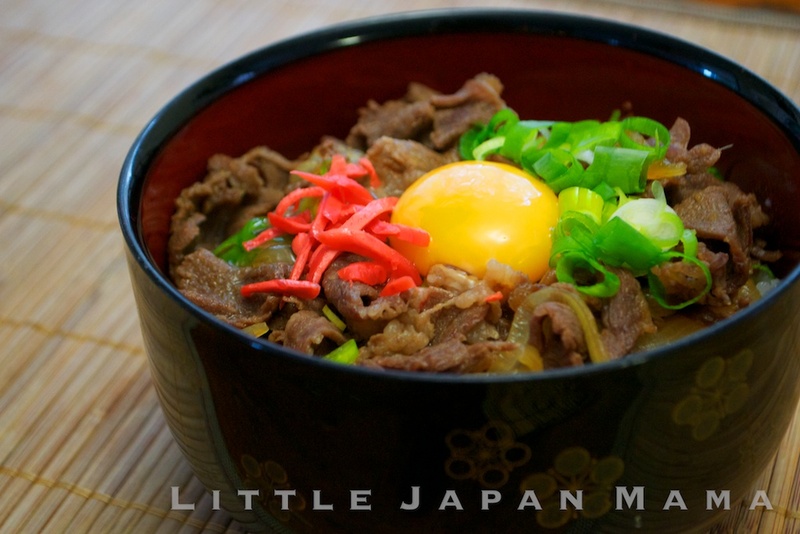 This is my recipe of choice for gyudon. If you don't have sake or mirin, or the usual substitute (white wine) try using a light-bodied beer like Corona and add only two tablespoons of sugar instead of a 1/4 cup. It really brings out the umami flavor! also, add half a teaspoon of shichimi when you're ading the ginger to give it an extra kick. thanks for posting this the pork gyudon in yoshinoya is always my favorite. is this really the same taste in yoshonoyas gyudon? Just made this as per your recipe. When my four year old son asks for seconds, I know I've got something right. My seven year old said it was nearly as good as Sukiya's so what can I say but thanks so much for publishing and keep up the excellent work! mom, dad, kids, everyone wiped it out. lol i trippled the recipe too and still nothing left. cracked an egg over each serving too. i just made this using your recipe this morning. my husband has been wanting it for so long! it tasted good! thank you! So yummy! Just made this yesterday with a porterhouse that lingered too long in the fridge, it was superb. 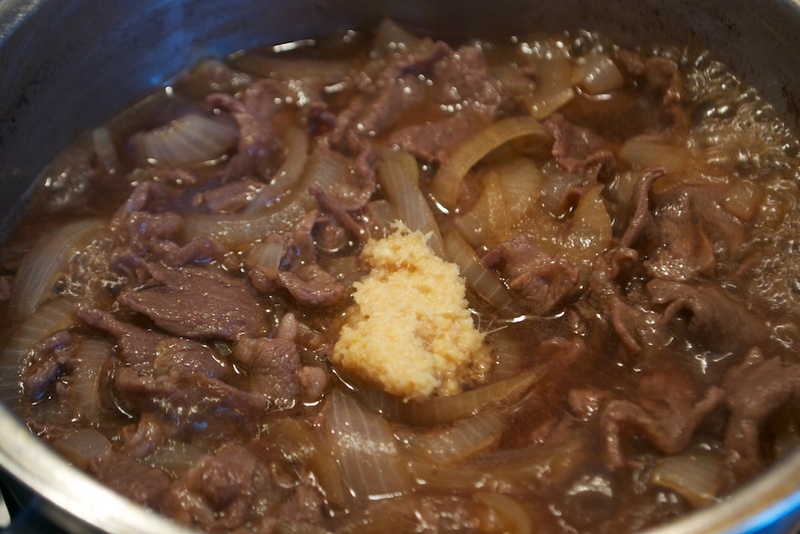 I sprinkled half the dashi granules in at the start to simmer with the onions, and threw in a square of konbu . The flavor of dashi evaporates if it is cooked too long, so stir in the rest of the granules at the very end when the meat is tender, and remove from the heat, this will preserve the sabor! We have made this a few times before, but were out of dashi powder when I looked! 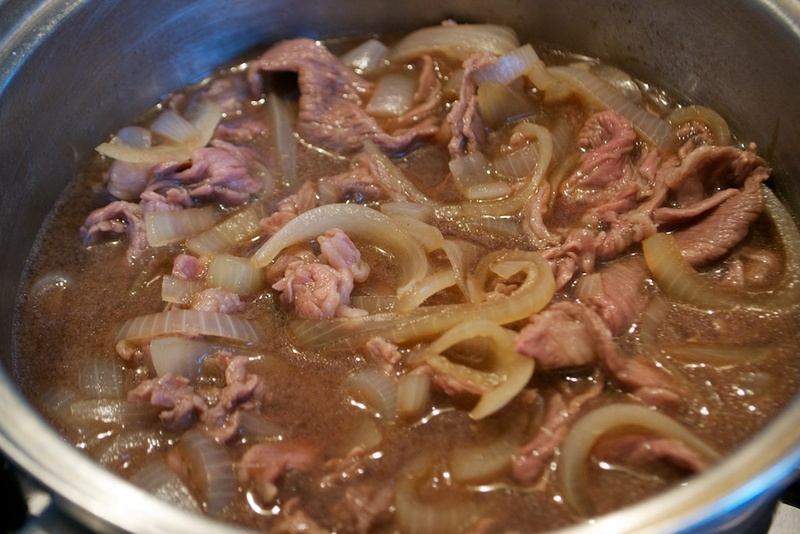 We substituted with beef broth and bonito flakes with just a touch of Filipino patis (fish sauce). We love this recipe!!! I use this recipe all the time! Thanks! Can you use fish sauce instead of the dashi or bonito flakes? This brings back memories of having breakfast at matsuya after a night of karaoke! Thank you!!! Great recipe! Just finished devouring it and I think I'll be making it a lot during this semester.. Thanks for posting! It's a regular dish at home in Sendai, especially with the egg. And it's divine!